My friend saw the term as a mechanism of assimilation to a structure that was never meant for first-generation students of color from working-class backgrounds. This conversation sparked many ideas I had about the paths offered within academia. My friend makes very compelling points in that paths into academia, including senior-level faculty, administrators, and students, are not representative nor reflective of larger national demographics. While these numbers are changing, they are moving at a painfully slow rate. Inclusivity includes representation in terms of faculty, administrators, students, curriculum, and co-curricular components. The problem with the impostor syndrome is that it centers on a series of symptoms solely focusing on an individualistic problem or disorder. Attention and accountability is taken away from larger systemic and historical issues at play that are in part responsible for creating physical and ideological separation. The borders are literal: locating mentors who have the time and understanding of being underrepresented and in a doctoral program, grappling with higher attrition rates, longer completion times, and challenges linked with networking as a first generation student. The divisions are also ideological in terms of coping with stereotypes, taking on additional work with respect to diversity not always valued in the same way as research is, and the pressure of finding safe spaces without promoting self-segregation. Identity entails multiple facets, this includes the recognition of race, gender, sexuality, religion, and class as existing within an intersection and not separate or distinct from one another. Failing to recognize these critical aspects as somehow independent risks homogenizing groups and experiences. The term leaves no room for interrogating institutional factors at play responsible for perpetuating mechanisms of social order that marginalize underrepresented groups. Doctoral programs that reflect national demographics function as one component, but numbers must be coupled with curriculum and student affair components. By this I refer to having a multidimensional approach recognizing the complexity that fuels the impostor syndrome as linked to discrimination and exclusion. For example, Ethnic Studies departments are often located as separate, when, in reality, the material taught should be (and sometimes already are) present in numerous departments, e.g. History of Race and Science, Race and Medicine, and/or Literature—what stories are told and by whom? As soon as I began changing my perspective, so did my positionality and understanding. Lived experiences are a springboard for knowledge development. Diversity and how it is valued goes hand-in-hand with visibility, acceptance, and what types of knowledges are valued. Let’s be real. In renouncing the term, I do not pretend that the daily and long-term challenges associated with impostor syndrome do not exist. 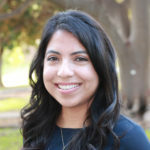 As a first-generation Latina from a working-class background, there have been multiple times where the impostor syndrome has loomed its meddlesome head, e.g., confronting stark differences in upbringing and social capital compared to peers from middle and upper-middle class backgrounds. These differences were and continue to be a fact. Instead, the language must be revised in order to provide an accurate analytical lens necessary in fully encompassing the various and complex factors shaping the mental health of underrepresented and doctoral students as a whole. Recognizing our multiple identities as intersectional and creating the term(s) to more concisely examine this phenomenon point to the importance of accountability. Assimilation is a reality that many underrepresented doctoral students must confront, at the cost of a dominant culture that rejects one’s existence. Anger and frustration is sometimes (mis)read as self-isolation when in reality it is fueled by the lack of recognition of historical factors fueling stratification. What is the best way to keep moving forward, despite these numerous challenges? I certainly do not have all of the answers. Academia, however, by its very nature, is a segregating space. My advice is to make sure to have an identity outside of graduate school. While being in academia encompasses a significant portion of one’s identity, it is just that, an aspect. Remember we have multiple facets that define us and require our time, care, and attention. Even if it is just a few minutes a day, make sure to connect with people outside of the academia. For me there was always something very comforting in sharing my work and research with my parents especially. While they did not have the privilege of attending college, they are very much intellectuals whose experiential knowledge have allowed them to bear witness to many of the issues at the heart of institutional oppression. The ivory tower is a privileged place, but one that demands extra self-care and consideration. For each one of us, this means something different. My former roommate took up surfing. At first she was so terrified of being in the water that it was the only way to take her mind off of graduate school. I would not recommend such extreme lengths, but my point is that mental balance and health oblige careful consideration. Mental-health in the context of graduate school impacts all graduate students. In order to begin to best investigate its complexities, it is important to first have the tools, language, and resources necessary to re-examine the ways in which we approach the well-being of doctoral students. We must move beyond the role of impostor. Gabriela Cázares holds a PhD in Literature from UC San Diego (2014), her research and training is in contemporary U.S. Latinx Literature. Before commencing her doctoral studies, Gabriela worked in higher education and the non-profit sector. Gabriela is heavily invested in collaborative partnerships by building community across multiple disciplines and diverse audiences. She is responsible for various projects for the Horizons of the Humanities initiatives.